This article originally appeared in the Warren Times Observer. Glarner said that he and Mark Robinault made the 45-minute documentary over the course of two years. It’s been shown most recently at the Asian World Film Festival, Glarner said. And now, it’s going to be shown in Warren. The three men interviewed in the movie are Timothy Dyer, Sam Qadri, and Harvey Stone. All are local or semi-local. Qadri teaches at the Jamestown High school and also is a professor of Muslim Studies at JCC. Dyer is a local priest and Stone is a local businessman. Glarner said he was sitting at Trinity Episcopal Church in Warren one day listening to Dyer talk about the latest Children of Abraham event – an event designed to introduce those unfamiliar with it to the concept of interfaith discussions – and he wanted to know more. “Why is he doing this,” Glarner said he found himself wondering as he listened to Dyer talk. Through subsequent conversations, however, Glarner said he understood perfectly what the goal of the Children of Abraham Project hope to achieve. Glarner said the screening, to be held on Saturday, March 3 at the Struther’s Library Theatre from 7 to 9 p.m. will be both an opportunity to expose a local audience to the film, but also a fundraiser for the Music Conservatory, of which Glarner has been a part since it began. 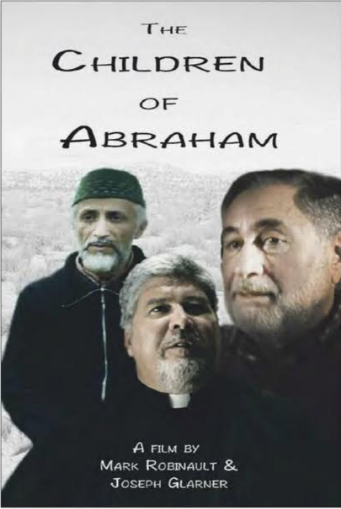 Admission to the film is $10 per person and includes an introduction by Glarner who will talk more about what compelled him to make a documentary based on the interfaith discussions of three local men. This entry was posted in Events, One Church and tagged Children of Abraham, connection, documentary, interfaith, Tim Dyer, Trinity Memorial. Bookmark the permalink.